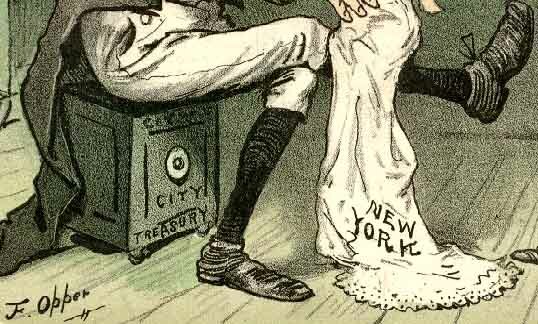 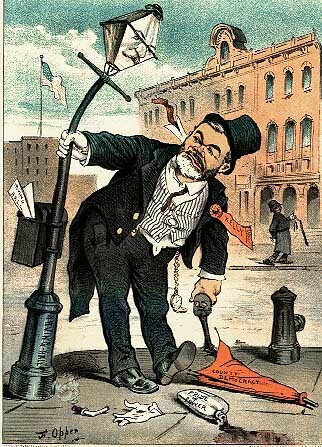 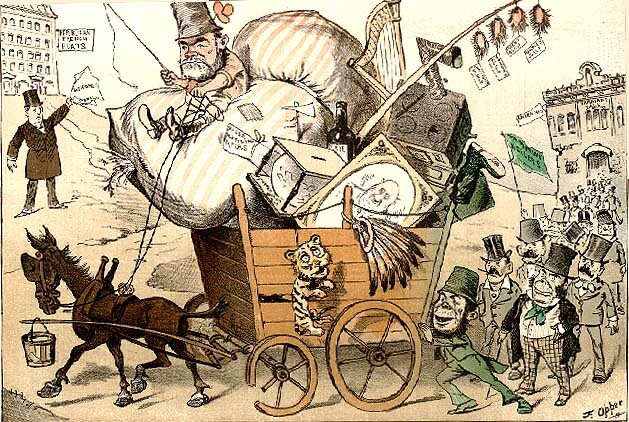 The infant New York appears uneasy, left to the uncertain mercies of its Democratic Party (read Tammany Hall, therefore Irish) caretakers: the man sits on a safe marked 'City Treasury'; the woman offers the baby a drink of 'patronage', from a glass marked 'Democratic Majority in the Board of Aldermen'. 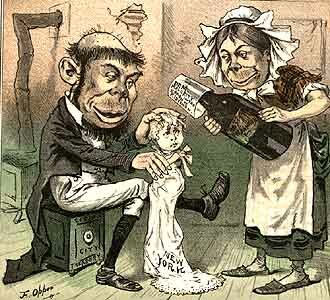 Opper draws this couple in stereotype: their "simian" features reinforce the second-class, sub-human status frequently accorded the Irish-American population. 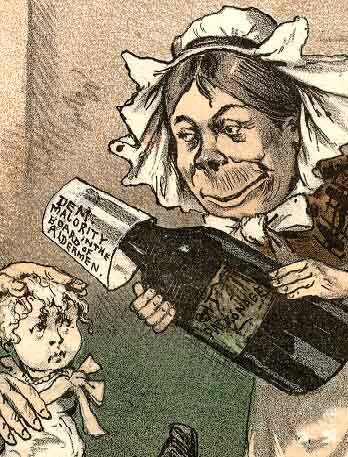 Opper, like many other cartoonists of his day, was not above representing ethnic and racial minorities as less than human, nor did he spare the 'first-class' citizens to make a political point [see Willie and his Papa].